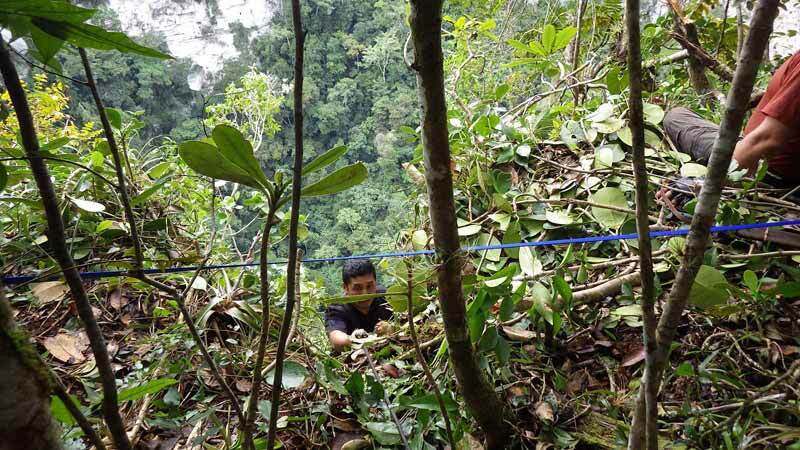 Chiquibul Karst Management Unit Chief Ranger, Gliss Penados testing the rope descent at the Nohoch Ch’en Sink Hole. Flying the drone from the rim. Aerial view of the Nohoch Ch’en Sink Hole. Nohoch Che’en Sinkhole Expedition: The Holec Sinkhole. top photo is the rim of the Nochen Ch’en Sinkhole. 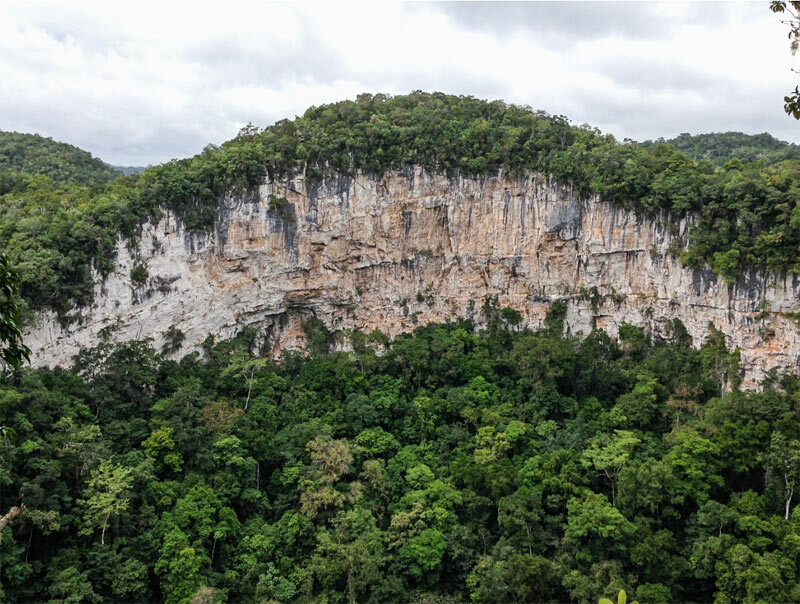 The most spectacular of a series of collapsed caves in the heart of Belize’s Chiquibul Forest Reserve. 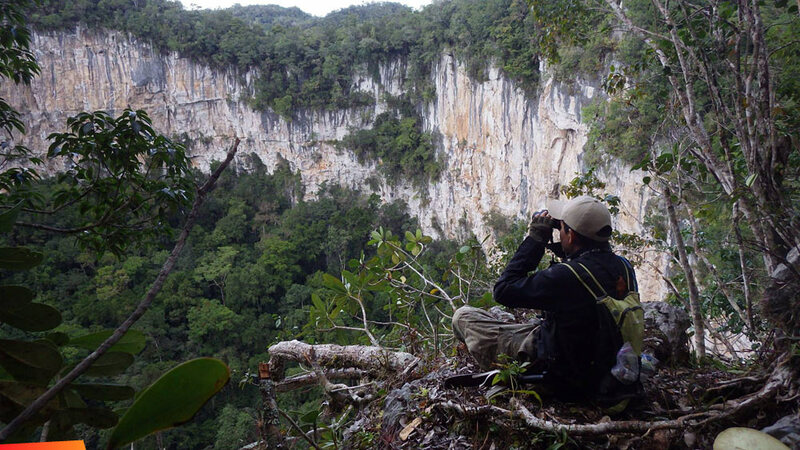 A 14 day expedition into the Chiquibul Forest of Belize to explore and document biological and geological diversity, find and map Maya sites and discover what exactly was at the bottom of the Holec sinkhole elicits contradictory emotions for a Belizean visiting the Chiquibul for the first time. 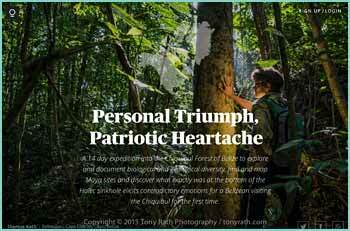 This is a 30 minute documentary done by Nickolas Lormand, which shares the events of a 2 week self contained research expedition that took place deep in the Chiquibul Forest of Belize Central America. 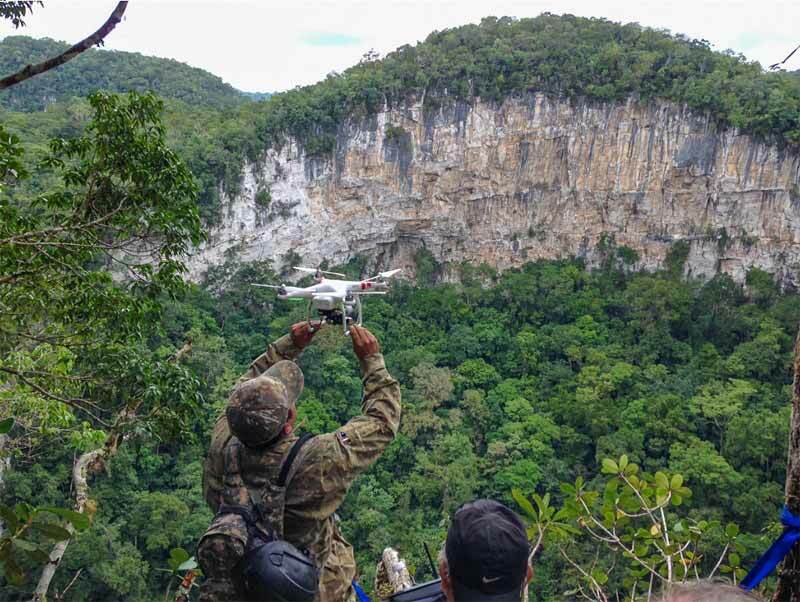 We hope you will enjoy and be moved by the content of this work, as we continue to strive to bring to light the reasons to protect this incredibly rich tropical broadleaf forest that makes up 8% of the land mass of Belize. 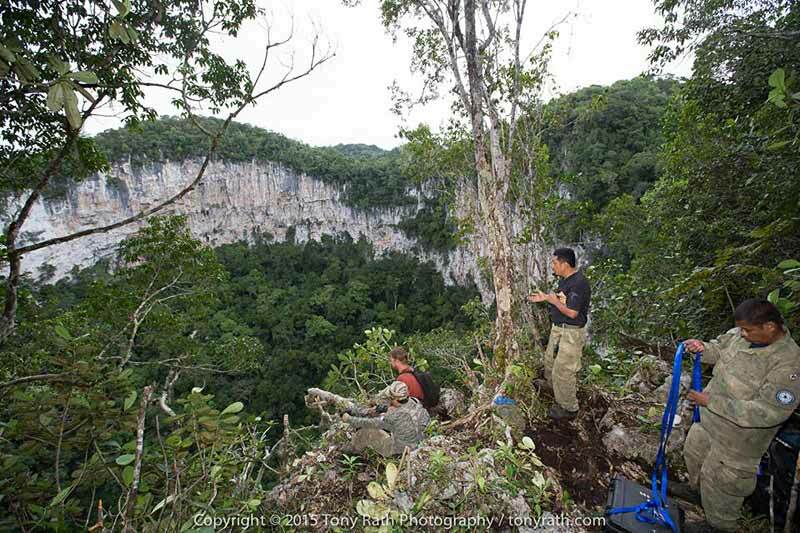 In early 2015, a team of 22 explorers set out into the far reaches of Belize's treasured Chiquibul National Forest on a mission to reach the never before explored Nohoch Ch'en Sinkhole - a massive bowl with sheer limestone walls dropping 500 feet below the jungle, and breathtaking views. Join the crew as they discover the extraordinary and mystical features of Nohoch Ch'en, ranging from it's incredibly unique gradient of ecosystems, the rare and endemic species living inside, and an unknown ancient history left by the Maya people... Nohoch Ch'en is but one of many amazing features of the Chiquibul, but it is not without it's threats. 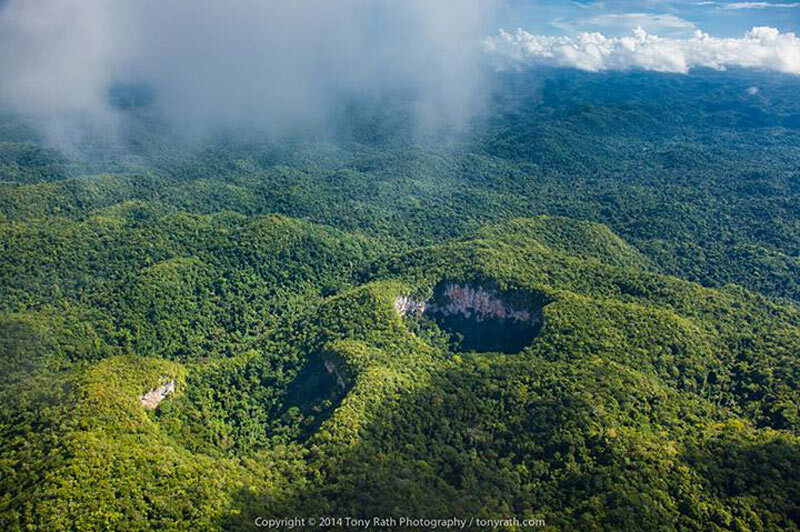 Deforestation and incursions from over the border threaten this beautiful land, and it is up to the governing rangers of FCD (Friends for Conservation & Development), and all of us to protect it. Brought to you by FCD Belize, MET Belize, and Scarlet Studios.